This is one of the first makeup products I bought when I first started with makeup that I still use today. These claim to be crease resistance although that is not true and a base like Urban Decay Primer Potion must be used underneath and powder eye shadow will help seal in the color. The shadows are colored bases that can enhance the color and vibrancy of whatever goes on top, similar to MAC’s paintpots and Benefit’s Creaseless Creams. 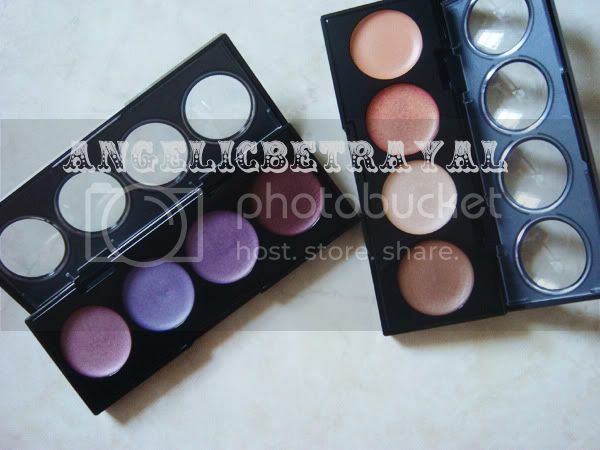 I have two palettes in 701 Wild Orchids and 730 Skinlights although there are several shades available. The packaging I have is old and the newer ones do not have see trough windows but colored bubbles that correspond with the interior shades. Although the packaging is typical of drugstore products and made with flimsy plastic, I do not mind it much and I find the black makes up a little for it. I usually like Revlon’s simplistic packaging and it’s to the point. Although I had neglected these palettes for many months, I now use Skinlights quite often as it is perfect for everyday neutral eyes. The key to using these creams is to use very little and blend it well over your eyelid. Just dab your finger into the well to warm up the product and tap on whatever is on your finger to your lid and blend it out using the warmth of your finger. It takes longer and more effort if you were to use a brush to spread out the color. 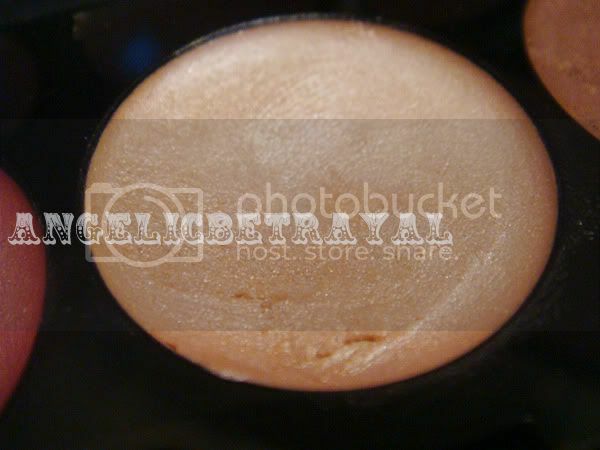 In Skinlights you have an orange color with no shimmer, a deeper orange with gold shimmer (may be a dupe for MAC’s rubenesque paintpot but I do not own that), a shimmery champagne (the color I reach for the most of the four and the color shown above), and a midtown brown with gold shimmer. 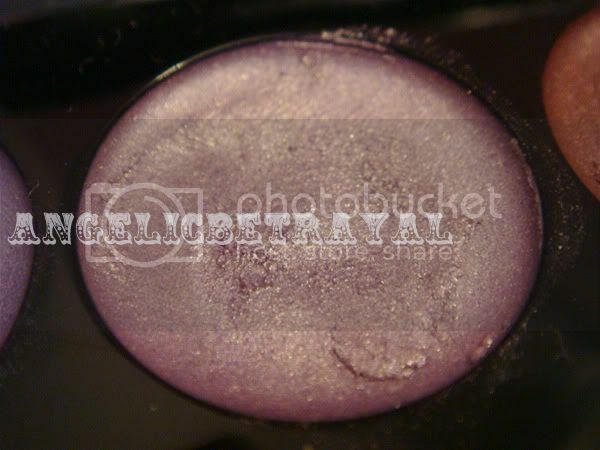 In Wild Orchids you have a pink lilac with silver shimmer, a shimmery blue toned purple, a warm toned purple with gold glitter (very unique and the color shown above), and a shimmery burgundy color (one of my favorite powder eye shadow shades). Excuse the messy sides of the pans. I usually keep my makeup very clean and I wipe off any residue that comes off the sides but I did swatches of these which explains the mess ^^;. 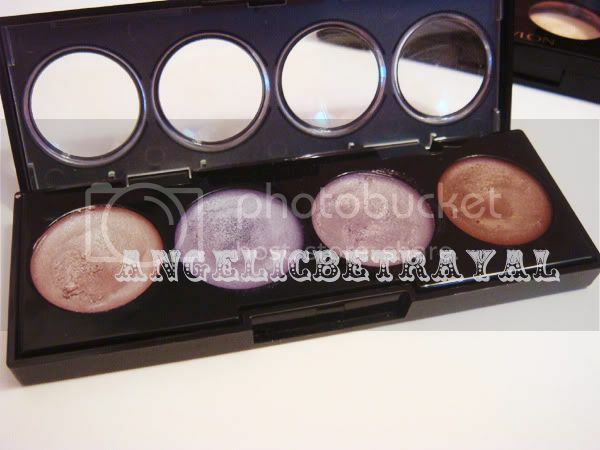 I do not reach for these colors as often as Skinlights but although they are purple they are not overpowering. 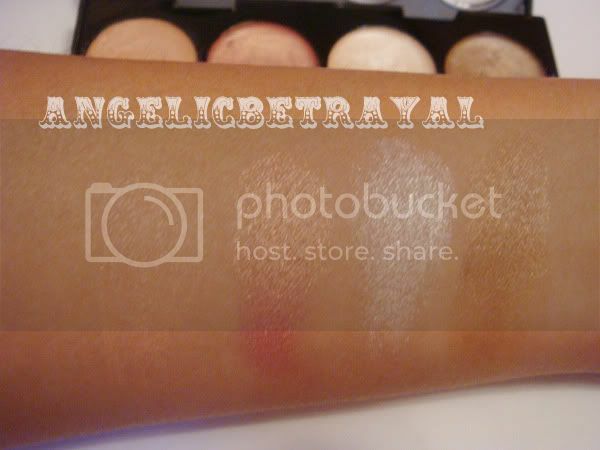 Once you blend out the color, you get a wash of color that is not too dramatic. In the swatches I sheered out the color to give you an idea of how they will look on your lids if you apply them correctly. 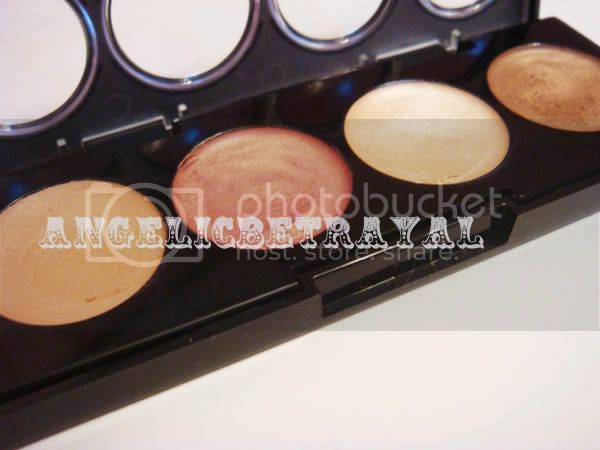 You can build up a heavier swatch but that will cause the shadows to crease. These retail for about $5 to $7 depending on where you buy them. Places like Target and Walmart tend to be around the $5 range whereas I bought mine at CVS for $7 on a BOGO sale. Almost all the drugstore products I buy (probably around 90%) were bought on a discount as almost all drugstore products go on sale. So if you catch these on discount I’d say they are worth the few bucks as you get four different colors in one palette and work efficiently if you apply them the right way.